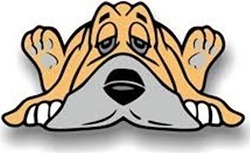 In most cases, dogs are voracious eaters with strong appetites. They'll often devour anything you put in front of them without hesitation. 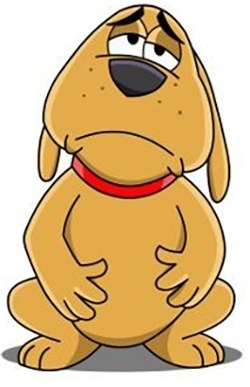 With that being said, there are times when your dog's appetite can dip, causing them to not eat. This behavior can be alarming for owners that are used to seeing their canine companion chow down their kibble every day. Also referred to as inappetence, a low appetite shouldn't be taken likely. Without proper nutrition, dogs are faced with a number of different issues. The first step is to determine why the dog isn't eating. There are a variety of reasons why a dog may lose their appetite. Causes range from health and medical issues to the quality of the food you're providing. Whatever the reason may be, it's important to tackle it head on to return your dog back to a normal and healthy routine. Here are 15 reasons why your dog may not be eating. Dental issues are quite common amongst dogs. Because they lack the ability to express the pain, problems often go unnoticed. Swollen or bleeding gums are often an indicator of more serious underlying issues. If left untreated, the problems can worsen. Oral tumors, gingivitis, or periodontal disease can cause pain when eating. This is especially true if your dog is fed dry kibble. Broken or loose teeth can ache with every bite, making the dog avoid their food and chewing toys. Canine health care has improved drastically over the years. New vaccines and medications make it possible to tackle a variety of health concerns and keep potentially dangerous diseases at bay. However, some medications do come with unwanted side effects. Certain medications can make your dog lose their appetite. Most often, this adverse reaction is only temporary. Your dog may not feel the need to eat for a day or so, but the effects will typically wear off in no time. If your dog has eaten something they shouldn't have, the offending snack can cause gastrointestinal issues that may take some time to get over. Even the most well-trained dog is tempted to gobble up trash, bugs, and other seemingly tasty objects. When this happens, the dog will probably experience some stomach pains and attempt to get rid of whatever they ate. They may start to vomit or eat grass. Dogs may also experience issues like diarrhea as a result. Either way, the feeling in their stomach will often make them avoid food until they're starting to feel better. 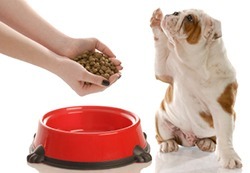 The quality of the food you are feeding your canine companion can have a huge effect on how they react. Cheaper foods often skimp on quality ingredients. They may have less protein than the dog's used to, making it unappetizing. Abrupt changes in the quality of food will make them avoid it, especially if they're used to something better. While food is often manufactured to have a long shelf life, that doesn't mean it can't go bad. What's worse is that it can be difficult to know how old food is and when it goes rancid. Old food can become unsavory to a dog, grow mold, and get smelly. Furthermore, old food loses the important nutritional value your dog needs to thrive. Dogs know when food isn't good, so they'll avoid it. This is more evident in wet food that's been left out. However, it also occurs with seemingly new kibble. Dogs are creatures of routine. Once their daily schedule is established, they want to stick with it. Changing something up even a little bit can make them uncomfortable. Changing their feeding times, daily exercise, or adding a new family member into the mix will have them feeling anxious. It's important to make changes slowly to ensure that they are comfortable. Sudden differences in their everyday life can cause them to not eat for some time until they gain confidence in their routine again. Like humans, dogs have their preferences. It may come as a surprise to many owners, but dogs will develop a taste for what they like over time. They may enjoy certain flavors but stay away from others they find repulsive. Certain ingredients in dog food can make your dog avoid. They may dislike certain vegetable flavors or items that have a slightly sour taste. If that's the case, it's time to find something your picky pal will enjoy! 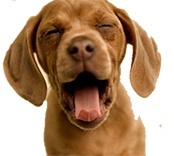 If you've been feeding your dog the same brand and flavor of dog food for years, dogs will eventually get bored. What once was something they couldn't wait for will turn into something they want to avoid. It's good to mix things up for your dog by adding something extra. Gravy or a topping of wet dog food is often enough to do the trick. Alternatively, a mix of canned wet food and dry food can get your dog to start eating again. It's a good idea to switch up foods every once in a while to ensure that your dog continues to eat. 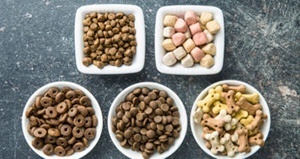 While adding some extra food to a dog's kibble is a great way to add something new to boring food, doing it too much can turn into a bad habit. 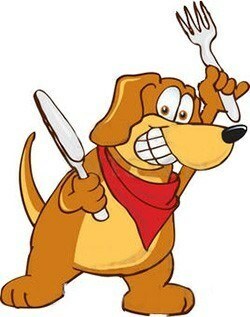 Eating human food or snacks at the dinner table isn't the best for dogs. They can come to expect the extra snacks and refuse to eat their normal kibble until they get some. Treats or human food should be given sparingly. If its something that your dog is already used to, it's good to slowly wean them off until they're comfortable enough eating normal dog food. Treats are a great way to reward your pup for behaving and for showing them a bit of extra love. While it may be tempting to treat them every time they flash their lovable puppy-dog eyes, it can lead to overfeeding. Treats should account for no more than 10 percent of their daily calories. They should also be supplied throughout the day to ensure that their appetite isn't affected. Too much treats will teach them to rely only on these extras for sustenance rather than their food. In the worse case scenario, a dog that doesn't eat may be experiencing a significant health issue. Loss of appetite is a common symptom of many illnesses. While not eating isn't a clear indicator of what they may be suffering from, it's a good idea to look for other symptoms. 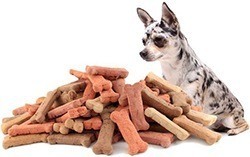 Serious illnesses like cancer, organ failure, and infections can make dogs lose their appetites for a significant amount of time if left untreated. This may lead to weight loss and additional problems. 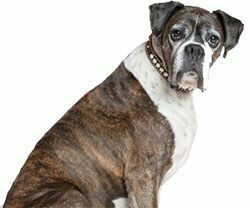 If your dog has recently thrown up after eating their normal kibble, they may have a hard time trusting their food again. 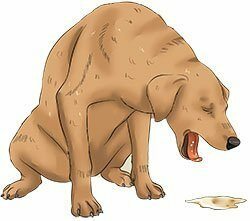 Regardless of why the dog threw up, they'll connect the discomfort with the food, making them weary and hesitant. It can take some time for the dog to accept the same food they threw up, so it's a good idea to make a slow switch to get them eating again. The body and senses of a dog will change the older they get. They can start to reject food or avoid eating altogether. While many may chalk it up to aging, there's likely a simple cause you can't see. The dog's teeth may be sensitive and hurting due to age or they might not find the scent and taste appealing due to a change in their senses. Older dogs that stop eating should be supplied with softer foods with more flavor to entice them to eat without causing pain. 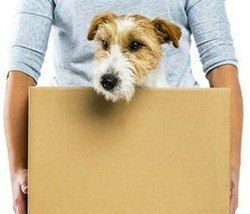 If you've recently moved or are on vacation, your dog may have issues coping with the environment. They may feel uneasy or nervous in their new surroundings, causing them to lose their appetite. In some cases, something as simple as moving their dish into a new room can cause problems. A variety of different behavioral problems can make a dog hesitant to eat. These issues develop over time, often stemming from a past experience they didn't like. For example, dogs may associate eating with feeling of anxiety because they were scolded or growled at. These types of issues are more prevalent in homes with multiple dogs. Dogs may also have a problem eating when others are in the room. This is common with rescue dogs that spent time in a shelter. They may need their own separate space away from commotion to start eating. These behavioral problems, while difficult to deal with at times, can be fixed with a bit of patience and ongoing support. With the many different reasons why a dog may stop eating, it can be tough and a bit overwhelming to take action and fix the problem. If your dog stops eating, there are several steps you need to take to make sure that your dog is healthy. From there, it's about understanding why they've stopped eating and making a positive change. Monitoring the dog's behavior is crucial. With the first meal skipped, keep an eye out on how they act towards their food. Make note of their ﻿﻿daily activity and make sure that it lines up with what they typically do throughout the day. 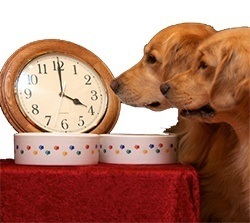 It's not uncommon or noteworthy if a dog decides to wait a few hours to eat their meal. It's only if the problem persists that you need to get worried. If you notice any changes to their normal behavior, take note. Refusing to eat may be an early sign of issues that will continue develop as time goes on. Anything unfamiliar should be a cause for concern. Its also good to monitor their stool and water intake. As you monitor your dog, play detective and check your surroundings. Think about the past couple of days to see if you can pinpoint the exact cause of your dog's symptoms. If your pup is around others during the day, ask them if they noticed anything strange. You may find that your dog has been exhibiting strange behavior for a couple days or ate something they shouldn't have. Check to see if they got in your trash or kitty litter box for clues. Performing a thorough physical examination may help you determine if you need to get professional help from a vet. Comb through their fur for any parasitic bugs and press on their belly to check for firmness. The belly should be soft and free of hard lumps. If your dog reacts to the sensation, they may be experiencing pain. Additionally, look for signs of diarrhea or vomit in their fur. 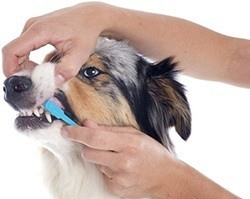 After you've checked your dog's body, have them open up wide for a dental exam. Look for any obvious signs of dental pain like swollen gums, bleeding, or loose teeth. Make sure that there is no discoloration on the gums or an influx of mucous. If you find anything even remotely problematic, it's best to call your veterinarian. A trained professional can perform a more thorough examination of your dog and provide them with any necessary tests to find underlying health issues. They can find something that's been causing your dog problems for months, allowing you to get necessary care and possibly save your dog's life. Regardless of whether or not health issues are present, it's always recommended to examine your dog food for any issues. Even if the dog food is freshly opened, it can still be rancid or moldy. Wet or homemade food should also be examined for issues. Give it a good smell for freshness. 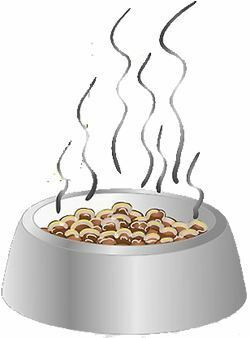 While dog food generally doesn't smell good even if it's freshly made, you will notice if it's started to go bad. Also look into the ingredients list to make sure that your dog isn't experiencing an allergic reaction. After examination, you may find the need to switch out the food. This alone can do wonders in restoring your furry friend's appetite. However, it should be done slowly to avoid any sudden digestive problems. You should mix the new food with a formula they're already familiar with. Over the course of a few days, add less and less of the old food until you've made a complete change. If you do decide to switch, you need to get an option that has similar nutritional content. If the culprit of the dog's loss of appetite is behavioral, the key to overcoming the problem is to establish and maintain healthy habits. Wean them off human food and excessive treats slowly so that they don't hold off on eating their normal food for treats. Give them a safe space to eat alone in comfort. Find a routine that your dog likes and stick with it to ensure that they continue to eat everyday. It can be frustrating and worrisome to see your dog stop eating, but it's important to stay diligent, observant, and supportive. By keeping an eye out on your dog and getting professional guidance, you can avoid potentially dangerous ramifications and get your dog back on track. Knowing how to spot the reasons will make it easier to get veterinarian help, switch out foods, and keep your dog healthy for many years to come.